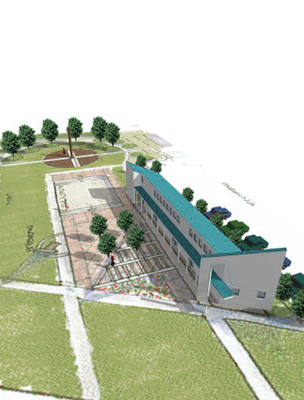 Program: Design a new construction 2,200 sq. 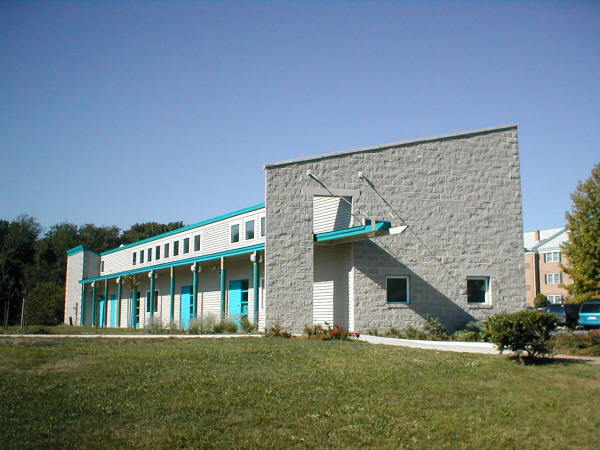 ft. community center for tenants of the Greentree Garden Terrace Apartment Complex in New Castle County, Delaware. 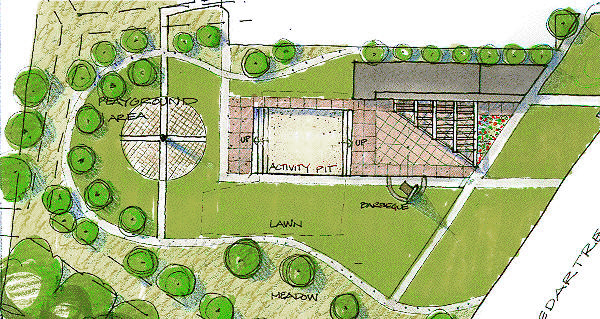 Design Approach: The center is placed on the lot of a former community pool. The program spaces include a community room, a kitchen, rental offices, bathrooms and a computer training center. The site program includes an outdoor seating area, a chess game area, a playground and a grill place. All main spaces have to be accessible as per ADA.